After a long season on the field the divisional winners in each conference as well as two wild card entries make the postseason after an impressive 2018 regular season that officially came to an end in December. After a record breaking regular season for points scored on the field by the offence of member teams in the last weeks before being decided in their respective divisions in both the American and National Conferences. East Division New England Patriots sit with a record of 11-5, while the Baltimore Ravens sit 10-6 in the north by a half game. The Steelers have a record of 9-6-1 in the south that saw Houston capture the division with a 11-5 record a game over the 10-6 Indianapolis Colts. And in the west a great battle between the Kansas City Chiefs making a return to post with a record of 12-4 tied with the Los Angeles Chargers. But in a tie breaker the division went to the Chiefs based on a regular season win over the Chargers in 2018 in division play. In the National Conference Dallas Cowboys captured the East title with a 10-6 record by a game over the defending Super Bowl Champion Philadelphia Eagles at 9-7 by a game both teams advanced to the postseason. The National Conference saw the Chicago Bears capture the North title with a 12-4 record while the New Orleans Saints Conference won the south with a 13-3 record. The last team in the wild card race was the team three hours south of Vancouver who attract several Canadian fans throughout the season, the Seattle Seahawks posting a 9-7 record making the postseason. A recap of the road the road to the Super Bowl playoff began on January 5th with the wild card games taking place in AFC Indianapolis that saw them defeat the Houston Texans 21-7. The NFC saw the Dallas Cowboys outlasted the Seattle Seahawks 24-22 in a wild game going down to the finish. 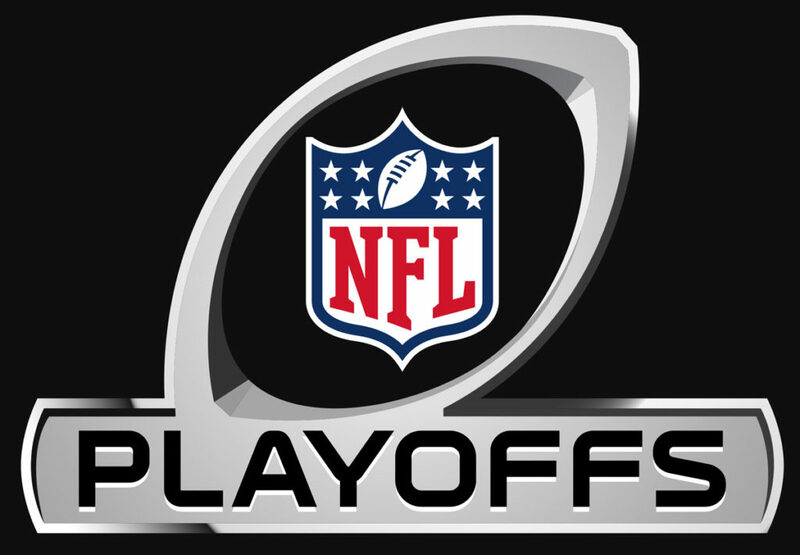 The wild card playoffs continued on the 6th that saw the LA Chargers defeat the Baltimore Ravens 23-16 in the AFC, while the defending Super Bowl Champs the Philadelphia Eagles were 17-15 winners over the Bears. 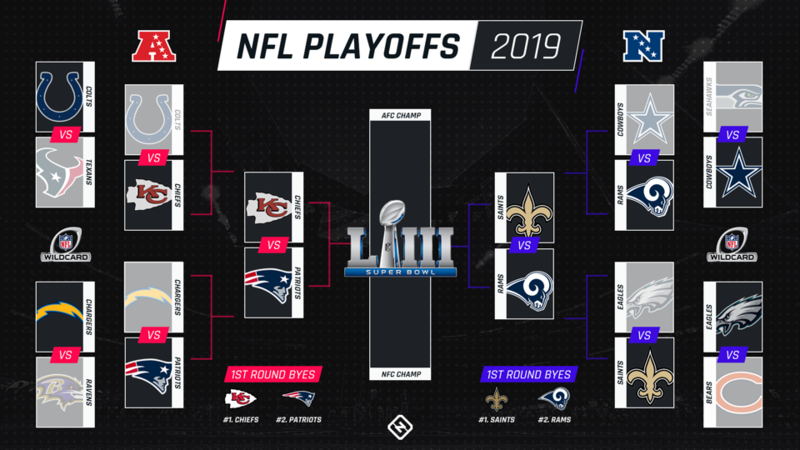 All of the above winners advanced to the Division playoffs next round that saw the divisional playoff match-ups on January 12th where Kansas City advanced to the Conference Championship pulling out an impressive 31-13 win over Indianapolis. The other match-up in post-season play saw the LA Rams outlasted the Dallas Cowboys 30-22 managing to advance. The Chargers traveled to New England squaring off against the Patriots coming out on the short end of the scoreboard 41-28 with the Patriots managing the shootout win. The Patriots will now face the Kansas City Chiefs at Arrowhead stadium in an afternoon match-up with the winner advancing to this years Super Bowl. Defending champs Philadelphia traveled to New Orleans facing the Saints only to see Drew Brees come up short managing a loss by a narrow 20-14 that has the Saints punch their ticket to the Championship game. Finally the afternoon match-up has the Saints will host the LA Rams with the winner advancing to the Super Bowl.